The facility managers for these areas are Steve Hahn and Carrie McGivern. They are the contact for general questions about using the facilities, including help navigating the TSW process. SciBooNE: located slightly below grade along the Booster Neutrino Beam line. MINOS Underground: located 100 m below the surface along the NuMI Beam line. Requests for time and space in any of these areas may be made following these instructions. The SciBooNE enclosure is along the Booster Neutrino Beam line. 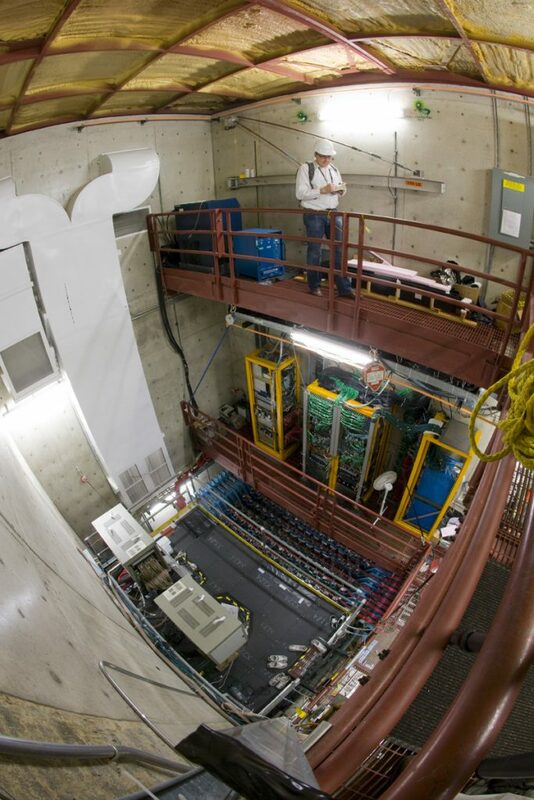 It is slightly below grade and can accommodate small scale neutrino detectors. The MINOS Underground area is home to NOvA, MINOS, and MINERvA. It is located approximately 100 meters below the surface and is along the NuMI Beam line. It can house small to medium scale detectors.